I’m dropping in real quick to share this beauty with you. I know you’ve been eyeing that delicious side from the Gluten Free Turkey Meatloaf I posted earlier this week, right? Don’t worry, I wouldn’t leave you hanging! This Roasted Acorn Squash with Pomegranate Dressing is hands down a simple but elegant side that will be a new fall favorite in no time at your table. But, before I share the recipe, you must take note of a special gem in this piece. Do you see those luscious orange berries in there? My friends, those little guys are a Peruvian Superfood known as the pichuberry! Manuel Villacorta, a top notch male RDN in the field and a great colleague, is the nutrition communications representative behind the pichuberry phenomenon here in the US! He graciously sent me a few packages of these pichuberries to try, so naturally I had to share them with you, too! Just as his brand says, “Whole Body Reboot“, these little guys certainly are a great way to really reboot your body with solid, quality nutrition. In just one serving (1/3 cup) of the dried pichuberries, you get over 39% of the daily value (DV) for vitamin D and nearly 50% of the DV for vitamin A. And, the best part, each serving provides a whopping 33% (aka 9 grams) of dietary fiber! You can pick up pichuberries at Sprouts across the US and some Walmart grocers as well! 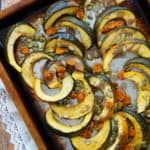 Give this super simple Roasted Acorn Squash with Pomegranate Glaze a try and let me know what you think! 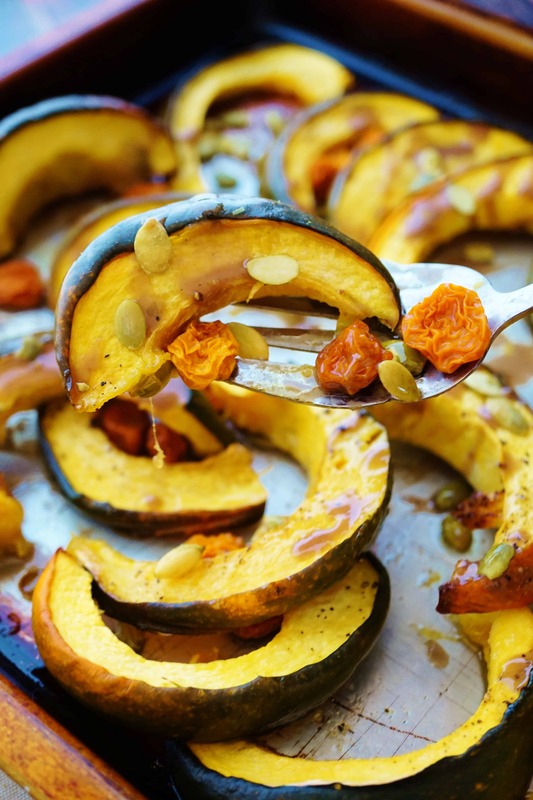 Gluten Free & Vegan, you can serve up this delicious Roasted Acorn Squash with Pomegranate Glaze as the perfect fall side dish for the holidays! In a large bowl, combine cut acorn squash with olive oil and kosher salt. Place on baking sheet and bake for 20 minutes, rotate, and bake remaining 20-25 minutes (or until fork tender). In a small bowl, whisk together pomegranate juice, olive oil, maple syrup, black pepper and salt. Drizzle dressing over the top and top with pepitas and pichuberries. 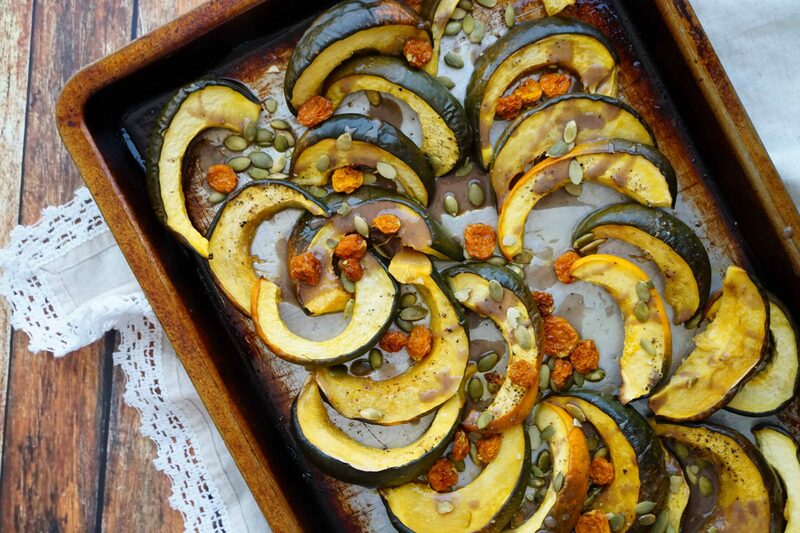 What’s your favorite way to dress Roasted Acorn Squash?! This looks amazing! 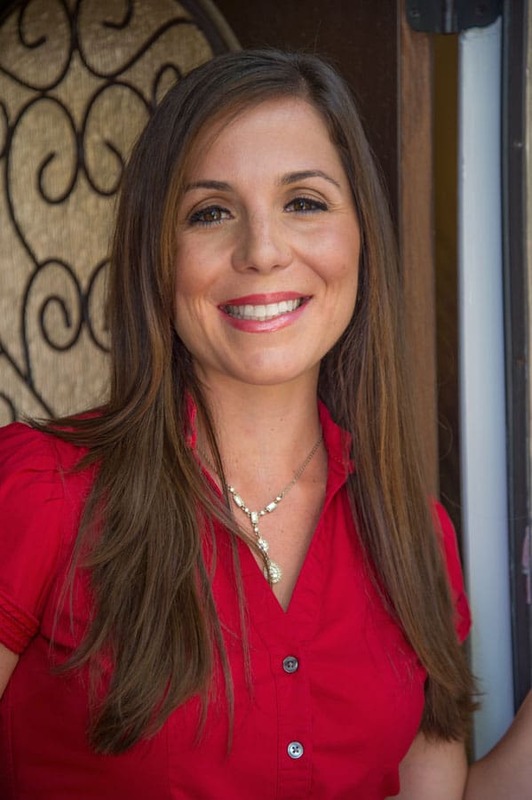 Your photos are gorgeous girl! Awww, far to kind my friend! Thank you! OMG, love the pichuberries in here! So unexpected! I love roasted squash with pomegranates. As a sneak peek, my December recipe in TD Mag is roasted brussels w pomegranate glaze and I made it again last week and this time threw in sweet potatoes too. It’s all so delicious, just like this! YAY! I can’t wait! I love seeing your name and recipes in TD! I’m like I KNOW HER!! You have to try them- a true hidden gem!